Can getting inked—albeit temporarily—help a disadvantaged child all the way in Africa? 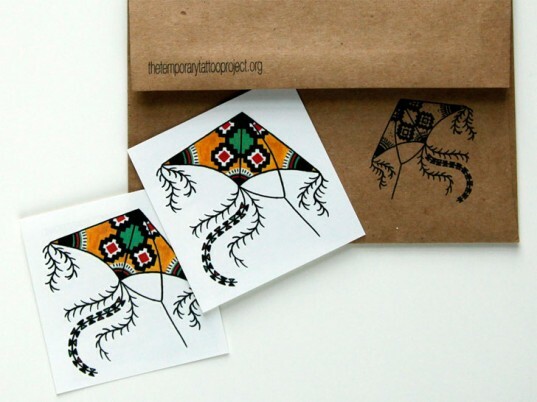 It can with the Temporary Tattoo Project, a creative endeavor to raise money for Kenya’s 2 million homeless, orphaned, and abused children, 60,000 of whom live on the streets. Founded by Lauren Sauma and Robyn Fukumoto, the project enlisted six tattoo artists to create limited-edition works of art in support of Flying Kites, a Brooklyn-based nonprofit that provides healthcare, quality education, and empowerment to a child in need of sponsorship. Each artist was paired with a Flying Kites participant who served as the inspiration for the designs, which range from biplane-riding lions to stampeding horses to reflect that child’s hopes and dreams. All proceeds from the Temporary Tattoo Project will go towards Flying Kite’s Child Sponsorship Program and Flying Kite’s Leadership Academy. All proceeds from the Temporary Tattoo Project will go towards Flying Kite’s Child Sponsorship Program and Flying Kite’s Leadership Academy to help groom the nation’s next generation of leaders. Plus, the ink is commitment-free. Available singly or in complete packs of six, the tattoos are easy to apply, last three days to a week and can be removed with baby oil or with a good scrub in the shower. If you’re in the New York area, check out the tats in person at the Brooklyn Night Bazaar in Williamsburg from December 15 to 17. Can getting inked�albeit temporarily�help a disadvantaged child all the way in Africa? 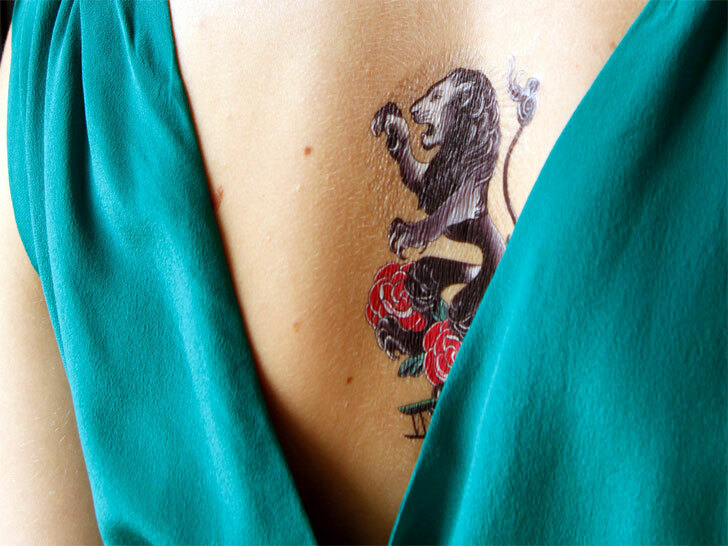 It can with the Temporary Tattoo Project, a creative endeavor to raise money for Kenya's 2 million homeless, orphaned, and abused children, 60,000 of whom live on the streets. Founded by Lauren Sauma and Robyn Fukumoto, the project enlisted six tattoo artists to create limited-edition works of art in support of Flying Kites, a Brooklyn-based nonprofit that provides healthcare, quality education, and empowerment to a child in need of sponsorship. Each artist was paired with a Flying Kites participant who served as the inspiration for the designs, which range from biplane-riding lions to stampeding horses to reflect that child's hopes and dreams.